The Department for Transport (DfT) has not denied a report that it could take control of Crossrail if delays cause a further overspend against the project's budget. It follows the announcement in August that the central section of the new cross-London rail link will not until ‘autumn 2019’, nine months after its scheduled launch in December. The Sunday Times reported that transport secretary Chris Grayling could seize control of what will be known as the Elizabeth line, depriving Transport for London (TfL) of hundreds of millions of pounds in fares. It pointed out that the DfT has a clause in its sponsor agreement that entitles it to take ownership of the project from TfL if its costs exceed a previously agreed but unpublished figure. The paper added that the delay is understood to have pushed costs beyond an existing £590m overspend and that the project is now likely to cost at least £1bn more than its original £14.9bn budget. Transport Network also asked TfL to comment on the suggestion that the project could go £1bn over budget as a result of the delay. 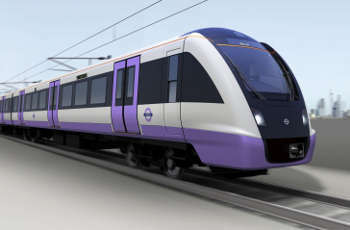 A spokesperson said: ‘We are committed to ensuring the Elizabeth line is completed as quickly as possible and we are working closely with Crossrail Ltd and Government on delivering this.